The service is bar-none, and chef Pierre Gagnaire’s food is fascinating. We love the constant interplay of sweet, savory, and bitter throughout the courses. 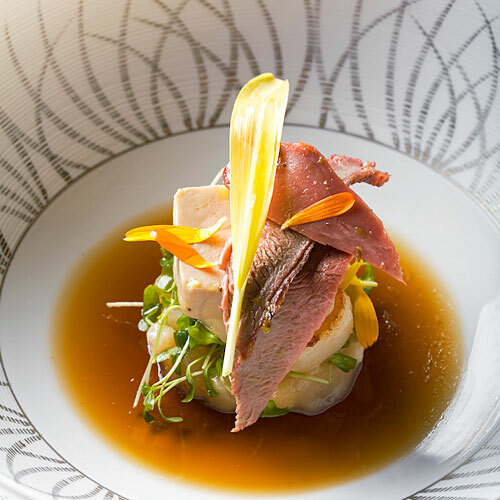 For Vegas-level indulgence, the foie gras degustation serves three preparations of foie, with variations in presentation, texture, and layers of flavors. The seasonal six-course tasting menu with wine pairing will set you back $295 (plus tax and gratuity), and the Lucky Number Seven pairing is available for $777, but you can still score with selections from the a la carte menu.